Web service substitution is one of the most advanced tasks that a composite Web service developer must achieve. Substitution occurs when, in a composite scenario, a service operation is replaced to improve the composition performance or fix a disruption caused by a failing service. To move the automation of substitution forward, a set of measures, considering structure and functionality of Web services, are provided. Most of current proposals for the discovery and matchmaking of Web services are based on the semantic perspective, which lacks the precise information that is needed toward Web service substitution. This paper describes a set of similarity measures to support this substitution. Similarity measurement accounts the differences or similarities by the syntax comparison of names and data types, followed by the comparison of input and output parameters values of Web service operations. Calculation of these measures was implemented using a filtering process. To evaluate this approach, a software architecture was implemented, and experimental tests were carried on both private and public available Web services. Additionally, as is discussed, the application of these measures can be extended to other Web services tasks, such as classification, clustering and composition. In the last two decades, there has been a growing interest for developing Web service- based projects and for generating Web service interfaces from legacy software. This growing interest corresponds to the evolution of telecommunications, the emergence of open and interoperable protocols, the development of XML-based standard languages, and the increasing usage of Internet as a public wide area net for connecting users, businesses and software agents. As a result, many Web service providers (software vendors) have taken the advantage of using Internet as an open window to the entire world to offer their services through public repositories. Currently, many applications are being developed with the composition of multiple Web services to solve complex problems. Web service composition is the information technology, which full realization is expected for automating the intense information interchange among users and businesses. Many challenging tasks are involved in Web service composition, ranging from classification, clustering, search, discovery, substitution, among others. 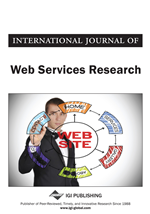 In particular, in this paper the main stress is on Web service substitution. Web service substitution is one of the most advanced tasks that a composite Web service developer must achieve. Substitution occurs when in a composite scenario a service operation is replaced to improve the composition performance or to fix a disruption caused by a failing service. In order to take a step forward the automation of substitution, a set of measures, considering structure and functionality, should be provided. Similarity of the Web service operation names. Syntax equivalence on the operation parameters type. Equal number of the input/output parameters. Many existing solutions have approached the problem of discovering and classifying Web services from a semantic perspective. From this perspective, many authors use natural language processing techniques to obtain the semantics from the documentation provided by the developers of Web services. Another approach consists of annotating or enhancing semantically Web service repositories by generating manually or semi-automatically domain ontologies (Sykara et al., 2003; Heb & Kushmerick, 2003; Dong et al., 2004; Bener et al., 2009). There are proposals which address Web service composition by matching their input and output parameters. The outputs of two or more Web services are combined as the compound input of another Web service, and so on in a kind of Web service chain (Sanchez & Sheremetov, 2008). This is a promising research approach, but needs to be fully proved regarding the particular format and implementation of the diverse Web service providers. Actually, in order to overcome the bottle neck for Web services substitution, and facilitate its effective automation, the structural and functional plain match of Web services is needed. Development of parsing tools for matchmaking is ongoing (Hull & Su, 2006). The parsers construction based on finite state automata provide the formal fundament to overcome this challenge in accurate and precise manner (Shwentick, 2007). Although the existence of multiple Web service developers, user communities, as many public and private service repositories; few computational solutions for automated extraction, identification and classification of Web services have been proposed, with the main goal of clustering functional-based substitutable services.